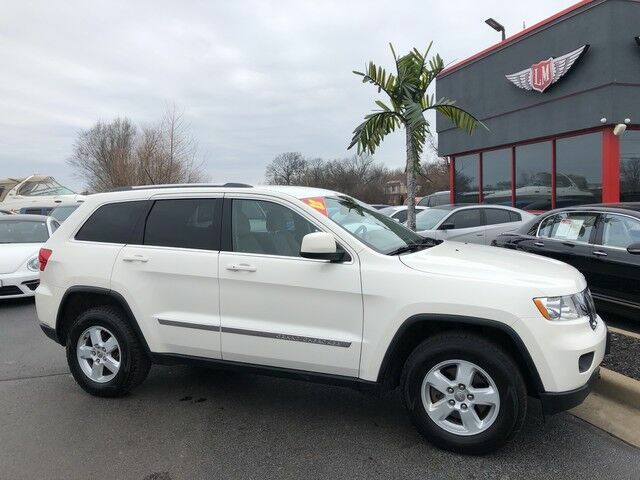 2012 Jeep Grand Cherokee Laredo Clean Carfax! One owner! This four wheel drive SUV is stunning in Stone White and equipped with a 3.6L V6 Flex-Fuel engine produces nearly 300 HP. Tow ready, heated mirrors, hill start assist, keyless go and more! 105,537 miles for $15,900 Ask about our extended bumper-to-bumper, unlimited mile warranties for the peace of mind to match this AMAZING vehicle!